After many years of not visiting LG’s Prime Steakhouse in La Quinta, my husband Bill and I went for dinner during the recent PGA Tour Career Builder Challenge at PGA West. And by the looks of it, business is booming at LG’s. We grabbed the last two seats at the large bar. The atmosphere was very pleasant, and the room had a nice, warm feel to it. LG’s features an extensive wine list both by the glass and bottle. Thankfully the bartender offered us several wines to taste before we made our choices. For dinner I choose two appetizers; I enjoyed the Mac and Cheese as well as the Roasted Brussel Sprouts in a maple glaze. Since LG’s is primarily a steak house, Bill went for a petite filet and baked potato with all the fixings. Bill’s steak was cooked to perfection and was both tender and tasty. We returned to LG’s the following week at the invitation of Keller Williams Realty management for a small dinner party in LG’s private wine cellar downstairs. This visit I went for the Roasted Salmon Filet, and I choose Buerre Blanc sauce over the Bernaise. Bill doubled down on the 8-ounce Filet but passed on the sizzling butter sauce. We had a plan for desert. Bill ordered the Tiramisu while I went for the Brownie with ice cream. This way we both got to sample two splendid deserts. LG’s tends to be on the pricey side, which is par for the course for high-end steak houses. Entrees are ala cart and the sides do add up. The bottom line for us is the quality is there, and we’ll be back in the future. Maybe not every week, but we’ll be back. 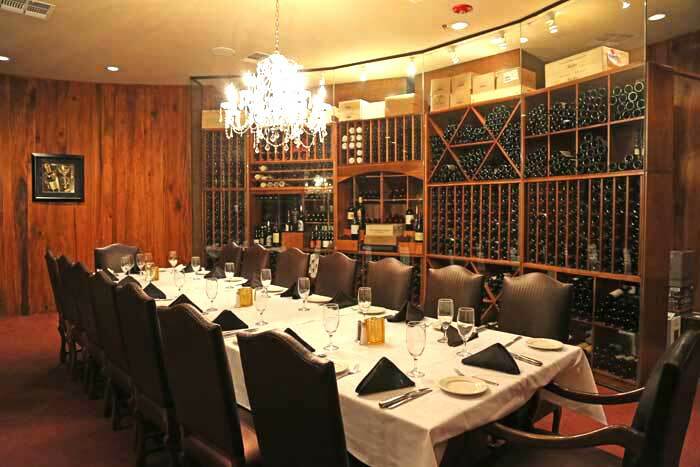 LG’s Prime Steak House is located at 78525 Highway 111 in La Quinta at the intersection of Highway 111 and Washington Street. They open for dinner at 5:30 PM daily. (760) 771-9911. 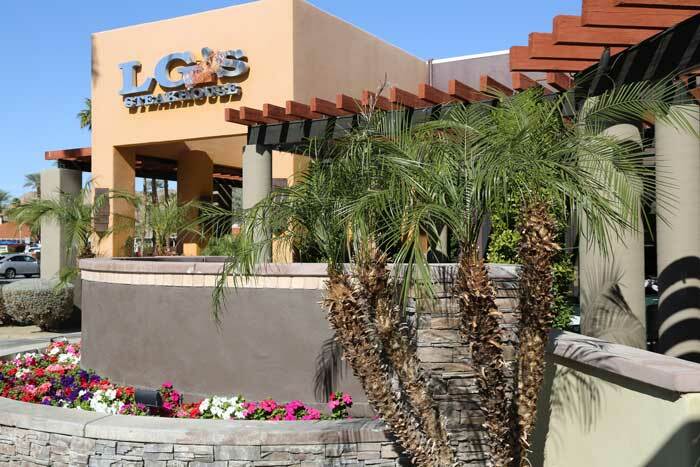 LG’s has a second location in Palm Springs at 255 S Palm Canyon Drive.